House of Panama is looking for young ladies to represent Panama in the House of Pacific Relations (HPR) Queens Organization. Applications are due July 1, 2015. 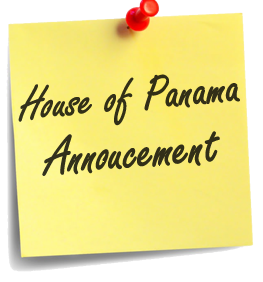 The House of Panama 2015 Scholarship application is now available. Award winners will receive up to a $1,000 and 1 year membership to the House of Panama. Application and essay must be postmarked by June 26, 2015. Applications will be reviewed by the Board of Directors on the basis of essay and academic standing. Scholarships will be awarded at the Summer Lawn Program on August 9, 2015.